This easy wild rice salad (or dressing, or stuffing) is deeply savory and earthy, thanks to sautéed mushrooms, celery root, and toasted pine nuts. Cooking rice in stock imbues it with deeper flavor. Celery root adds additional earthiness to an already earthy cast of mushrooms and pine nuts. In a large pot, combine wild rice with enough stock and/or water to cover by at least 2 inches. Season lightly with salt. Bring to a simmer, then continue to cook at a simmer until rice grows tender and many of the grains have ruptured, about 50 minutes; add more water at any point as needed to keep the rice covered. Meanwhile, in a large skillet, heat oil over high heat until shimmering. Add fresh and soaked dried mushrooms (if using) and thyme sprigs and cook, stirring, until mushrooms are golden, about 6 minutes. Season with salt and pepper. Lower heat to medium and add celery root, onion, and celery, and continue cooking, stirring frequently and scraping the bottom of the skillet, until vegetables are just tender, about 5 minutes. Season with salt and pepper. Discard thyme sprigs. Using a fine-mesh strainer, drain wild rice well. Transfer to a large bowl and mix with the mushrooms and vegetables. Stir in pine nuts, parsley, and chives. Add the vinegar 1 tablespoon at a time until the salad has a subtle brightness, but not an obvious tang. Season once more with salt and pepper, if needed, then serve warm or at room temperature. You need enough liquid to cover the rice sufficiently, the exact amount of which will depend on the dimensions of your pot; if using stock, 1 or 2 quarts (1 or 2 liters) will be sufficient, as you can always top it up with additional water as needed. 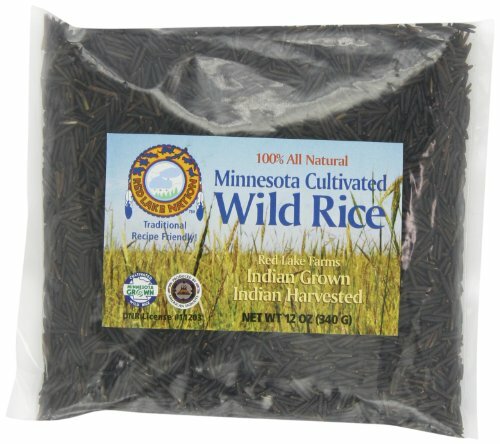 The wild rice salad can be refrigerated for up to 2 days and reheated, covered, in a moderate oven.